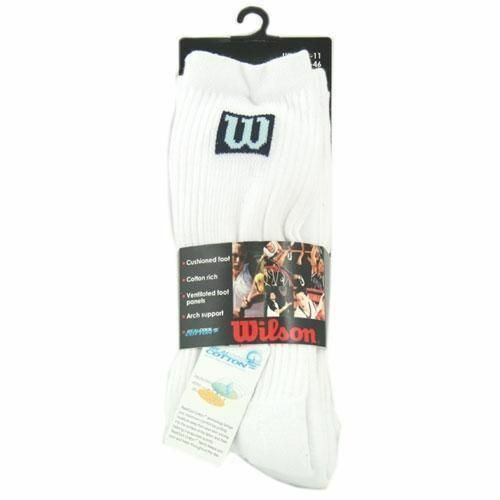 The Wilson men's soft crew socks are ideal for racket and general sports. Soft cotton with full terry lining provides comfort and good cushioning. The size is standard, 8.5-11. The socks are white with a black and blue logo. for submitting product information about Wilson 3 Pack Soft Crew Socks We aim to answer all questions within 2-3 days. 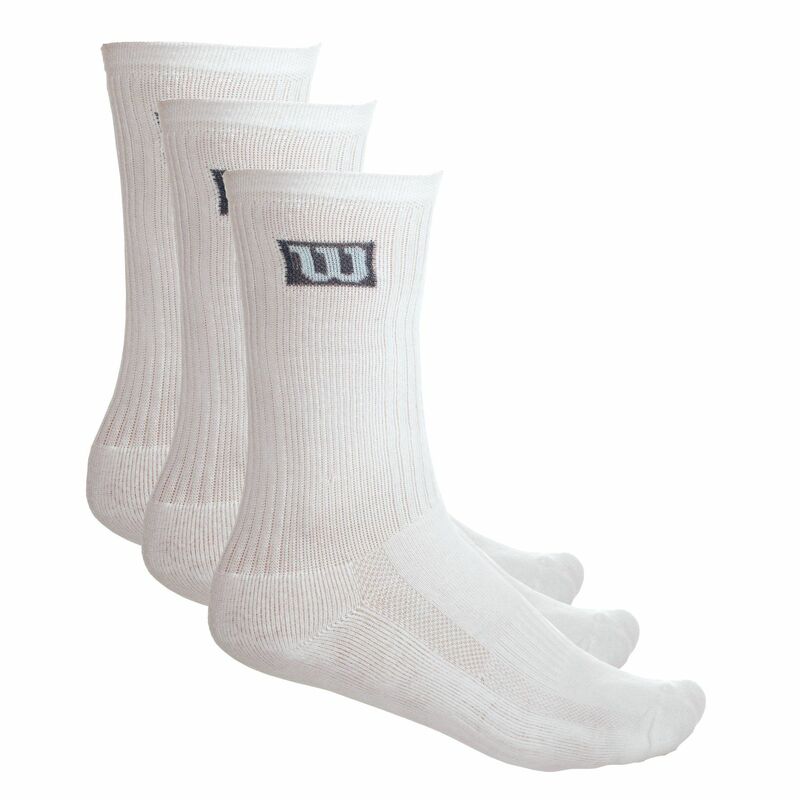 for submitting product information about Wilson 3 Pack Soft Crew Socks. We aim to answer all questions within 2-3 days. If you provided your name and email address, we will email you as soon as the answer is published. for submitting product review about Wilson 3 Pack Soft Crew Socks.